When it comes to paleo recipes breakfast, what can get better than a green smoothie? In addition to being an excellent addition to any paleo weight loss meal plan, this green smoothie is delicious, quick, convenient and portable making it ideal for a busy morning. Better yet, this green paleo smoothie is good for you. 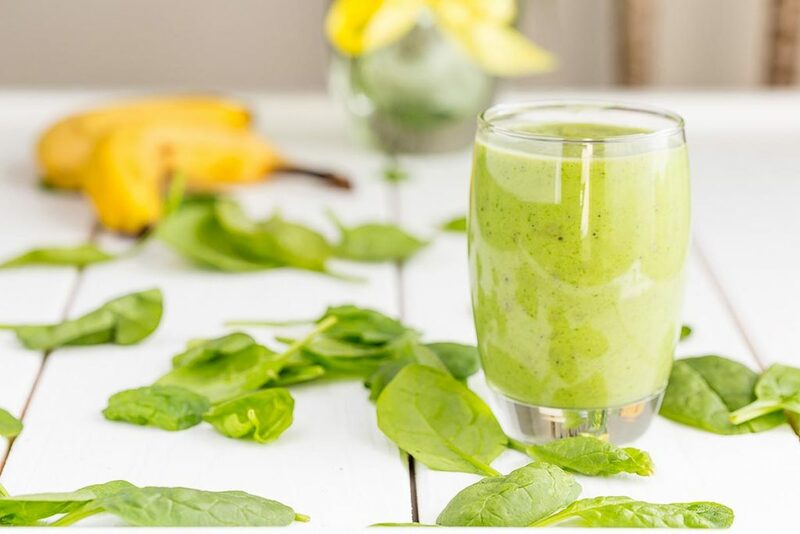 Both the spinach and fresh citrus juices are packed with weight loss assisting vitamin C, the banana and pear combat morning sugar cravings and the coconut water will keep you hydrated which is essential for weight loss. Moreover, coconut water is packed with bio-active enzymes that increase metabolic rate. Place all the ingredients into a blender. Add the liquids first. Blend until smooth. Add more water if needed. Pour into a glass and enjoy. The smoothie can also be frozen then thawed at a later time.